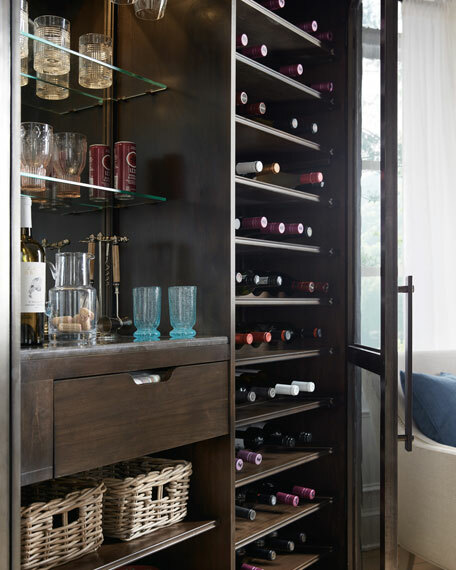 The left side features a mirrored back with large glass shelves and stemware storage while below their are wood shelves and ventilation and wire management for storage purposes. The right side features a plethora of shelves that can be used as bottle storage or turned over for flat display shelves. 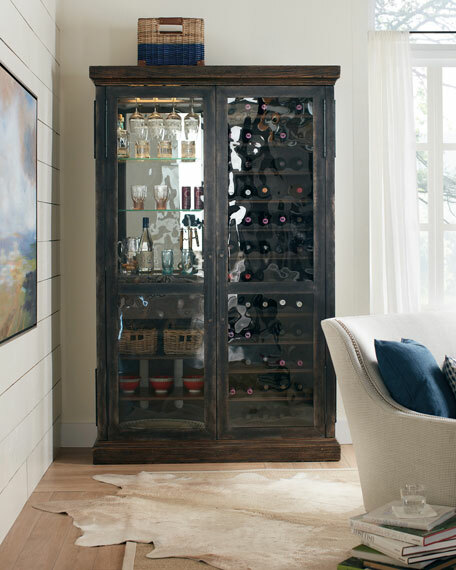 The overall finish is a rustic, warm walnut with physical distressing while the front and sides are wrapped in an ebony metal. 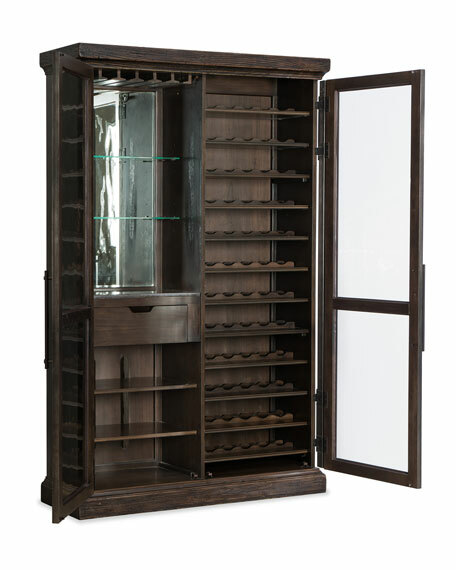 The case is highlighted with generously sized hinges and metal door pulls. Their is a touch light control on the back of the cabinet to control the interior lights. 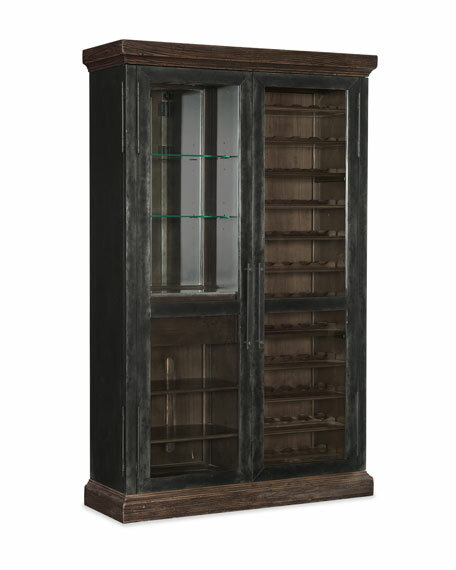 Poplar and hardwood solids with Black Walnut and White Oak veneers with seeded glass and antiqued mirror. Adjustable shelves on left side; Two adjustable glass shelves on left side; Ten adjustable shelves on right side. 54"W x 18.3"D x 85"T.
Boxed weight, approximately 413 lbs.